There is also a tide clock. 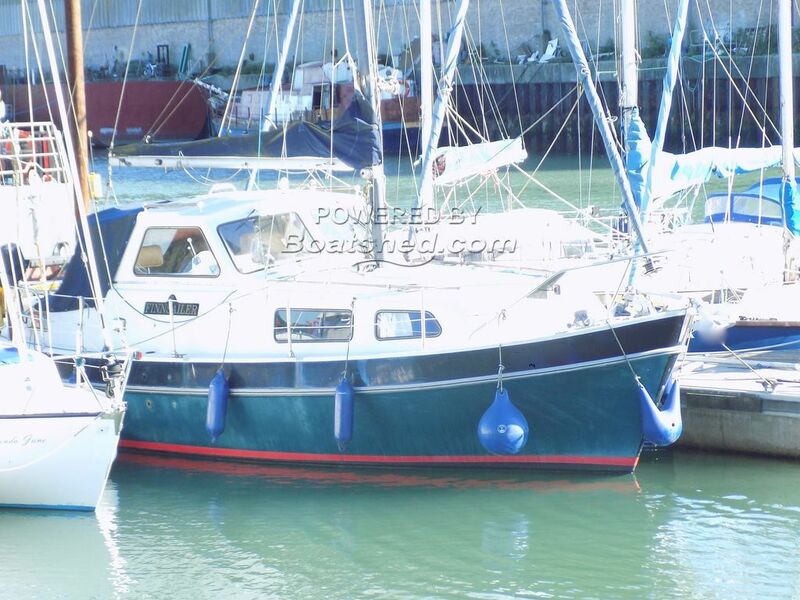 Register with Boatshed to see 160 extra photos of this Finnsailer 29 Aft Cabin. A sturdily built and cared for Finnsailer 29. Built for liveaboard and with it's central cockpit location and the canopy lowered offer a very sociable area on those summer days for alfresco dining. The aft cabin consisting of two single berths and includes a vanity sink facility offers comfort and space. The forward cabin offers a twin/double berth and is also very spacious. The Volvo Penta MD3 will enable both offshore and river cruising. The condition of this sought after class is a credit to the current owners and early viewing is highly recommended! This Finnsailer 29 Aft Cabin. has been personally photographed and viewed by Geoff Jaquest of Boatshed Suffolk. Click here for contact details.